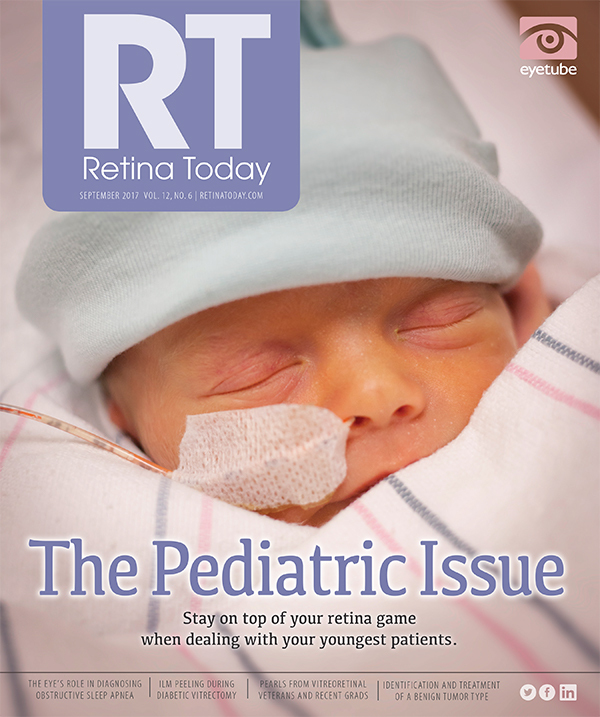 Stay on top of your retina game when dealing with your youngest patients. Being well rounded is one of the keys to happiness. Our lives are quite short, really, and having to work for a living is an unavoidable necessity for most of us. But keeping ourselves well rounded, both professionally and personally, is a sure way to keep things interesting and give ourselves a variety of experiences to draw from. I sometimes find myself distracted or bored, so for me variety definitely is the spice of life. I want to do all things, but, realistically, this is just not possible. That’s okay, I’ll take what I can get. The editors of Retina Today choose our cover focuses to help you maintain variety in your professional life. Whatever the focus of your practice, it behooves you to stay in the know with everything going on in the profession. That includes the surgical realm, pediatric retina, oncology, uveitis, and so on. For those who do not subspecialize in pediatric retina, this may not be an area you often think about. The articles included in the following pages will help you keep up with some of the latest developments on this topic in your efforts to say well rounded. My husband and I recently moved to a house with a bigger yard, and I’ve been trying to talk him into experiencing the joy of beekeeping—and/or keeping chickens—but so far it’s a no-go. I’m hoping that with a little persistence I can add one or both of these hobbies to my list of life experiences. What will you add to yours?